Technip has been awarded a contract by Shell UK Limited to provide front-end engineering design (FEED) for the onshore elements of the Peterhead Gas Carbon Capture and Storage (CCS) demonstration project in Aberdeenshire, Scotland. The project is designed to capture, compress and transport by pipeline one million tonnes a year of carbon dioxide to an offshore gas reservoir for long-term storage beneath the North Sea. The FEED scope includes a grassroots carbon capture and compression plant and modifications to an existing combined cycle gas turbine power plant. Technip’s operating centre in Milton Keynes, UK, which executed a pre-FEED study for the Peterhead CCS project about 18 months ago, will execute the FEED for this next phase. This office serves as a centre of excellence for the development of end-to-end solutions for carbon capture and sequestration projects. Technip has a strong record of deploying clean technologies and particularly first-of-a-kind technologies. Examples include the world’s first floating offshore wind unit and the world’s largest biofuels unit. Technip has widened its range of services and has reinforced its leadership in the downstream business since the acquisition of Stone & Webster process technologies in 2012. Endress+Hauser has acquired additional shares in German-based Analytik Jena AG and exceeded the reportable threshold of 50 percent of the voting rights. The Group now owns 50.37 percent of the shares. Endress+Hauser has acquired on and off the stock exchange additional shares in Analytik Jena, increasing the total directly attributed to 50.37 percent. Another 0.41 percent – own shares of Analytik Jena AG – are indirectly attributed to Endress+Hauser. According to an option contract with company founder Klaus Berka and German investment company bm-t, Endress+Hauser has the right to acquire an additional 27.56 percent of shares in Analytik Jena after 1 October 2014. Hauser Group, specialized in measurement engineering for process industry, Analytik Jena will remain an independent business unit, active in analytical instrumentation and the life science industry, with its own manufacturing and sales structure. With the slogan "Making things right," Siemens is presenting intelligent automation and drive systems and industrial software for efficient water and sewage treatment at this year's IFAT from May 5 to 9, 2014 in Munich. The focus will be on integrated solutions supporting industry and municipalities with minimizing the consumption of resources and energy while maximizing security of supply. This includes integrated planning and engineering tools as well as seamless interaction of automation and drive components. A further focus of the exhibition appearance will be "smart water" – intelligent solutions based on industry software. For this, Siemens will be showing the water management system SIWA, a modular software solution with which the operation of water supply networks can be optimized and drain systems and sewage flows can be intelligently controlled. 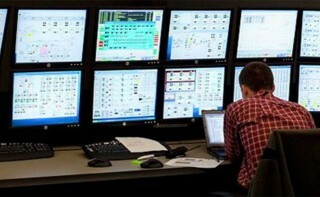 Software modules are also used to detect leaks in water transport systems and water distribution networks and perform computer-aided simulation of complex pipe systems. Efficient water and sewage treatment starts at the planning stage. Siemens will be presenting an extensive planning tool called Consultant DVD at IFAT. It contains prepared text modules for invitations to bid, manuals, product information, and quick links. This gives plant planners effective support during all planning phases for plants in the water industry. Siemens will also be showing how, with integrated engineering, work processes can be efficiently parallelized, costs lowered, and resources saved. The COMOS engineering and data platform and the Simatic PCS7 process control system enable central data management for plant planners and operators throughout the planning and engineering phase right up to the operating phase. This permits efficient holistic plant management over the entire life cycle of an industrial plant so that time to market can be shortened, costs saved, and quality enhanced. "Making things right" in the water and sewage industry also means smart management of plants as well as water supply and sewage networks. Siemens will present the modular water management system SIWA for pipelines, drinking water supply and sewage networks at IFAT. This "smart water" solution is based on the Simatic PCS 7 process control system and contains software modules that can be flexibly combined. Depending on operational requirements, these support the operator with optimizing plant operation, detecting and locating leaks, and performing highly dynamic simulation of pipe systems. Operation of water supply networks can be optimized using efficient schedules for pumps, tanks and waterworks. Complex interactions within the network can also be analyzed by computer-aided simulation of hydraulic behavior in the water supply system. For operators of sewage networks and sewage treatment plants, software modules are also provided that permit control of the sewage system and of the wastewater flows to even out the load on sewage treatment plants. Schneider Electric announces today that it has completed its acquisition of Invensys plc, a global automation player with a large installed base and a strong software presence. With this acquisition, Schneider Electric is significantly enhancing its position as a provider of efficiency solutions integrating power and automation. The transaction will allow the combined entity to have a unique position in industrial and infrastructure end-markets. Baton change: Matthias Altendorf (right) takes over management of the Endress+Hauser Group at the beginning of 2014. His predecessor Klaus Endress is new President of the Supervisory Board. After 19 years at the top of Endress+Hauser, Klaus Endress is set to clear his desk at the office in Reinach, Switzerland. The previous CEO moves to the Group's Supervisory Board as of 1 January 2014, replacing President Klaus Riemenschneider who is retiring after 43 years of work for Endress+Hauser. New CEO of the Group is Matthias Altendorf, former Managing Director of the Center of Competence for level and pressure measurement engineering in Maulburg, Germany. The 46-year-old is only the third CEO in the company's history starting in 1953 – and the first one not coming from the Endress shareholder family. The changes at the top of the Group have already been announced in March.